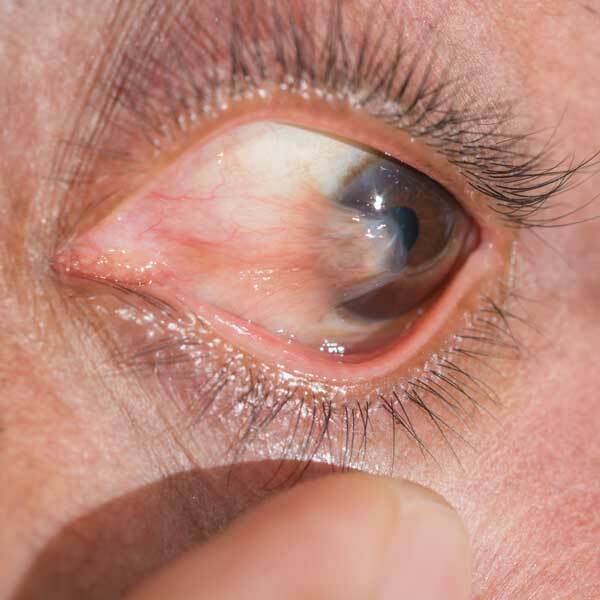 Pterygium is a pink, fleshy bump that grows on the white of the eye, which can eventually grow over the cornea and obstruct vision. Individuals who spend a great deal of time outside, especially on the water, are more likely to be diagnosed with a pterygium. Spending time outside on the water can result in the sun’s UV rays being bounced back onto your eyes, which increases the longer you stay outside in bright sunlight. Although pterygia are benign, they can often impact your vision and become irritating.